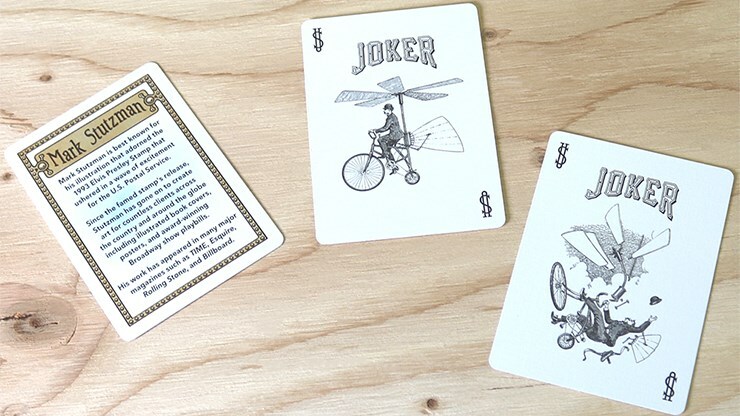 Many of the "standard" decks from Bicycle don't feature all that much customization, so I was pleased that it's not the case here. 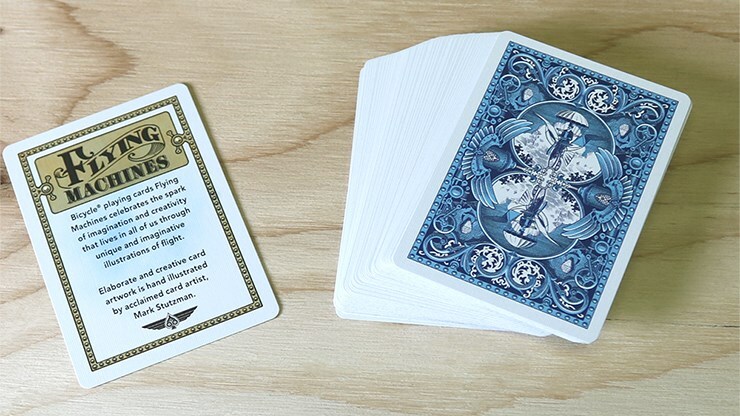 The card backs have a very attractive design in blue, rather than the usual variation on the rider-back theme. 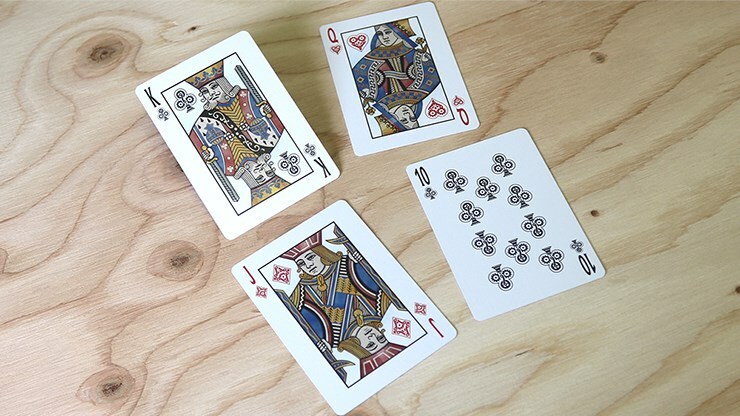 The court cards don't look like mere clones of the average kings/queens/jacks, and that's not just due to the colours, but also to the very unique pips on all the cards, which have somewhat of a steampunk theme with cogs and gears inside them. 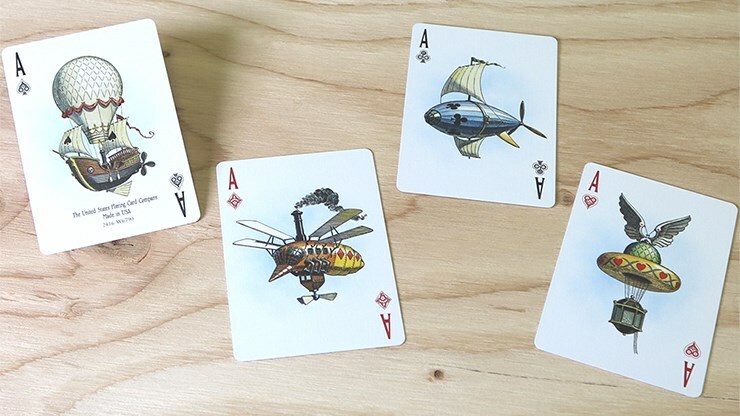 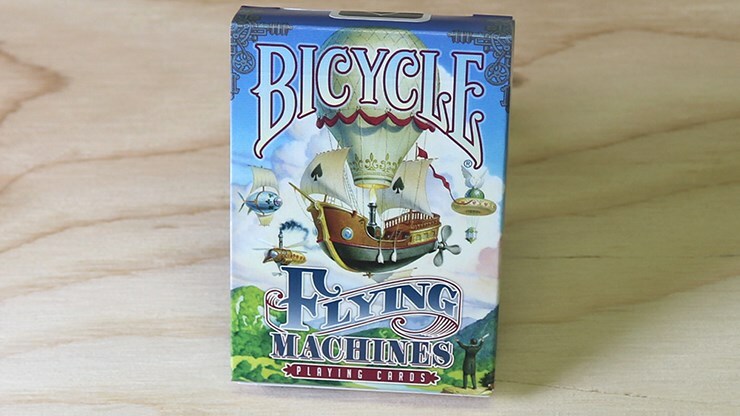 The Aces all have flying machine artwork as well. 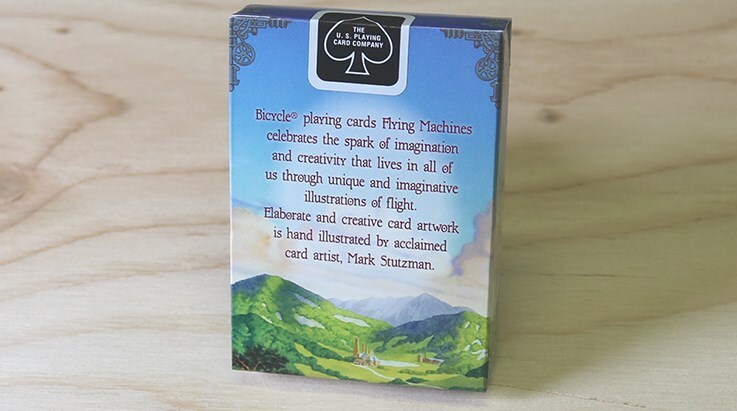 Very nice deck overall!